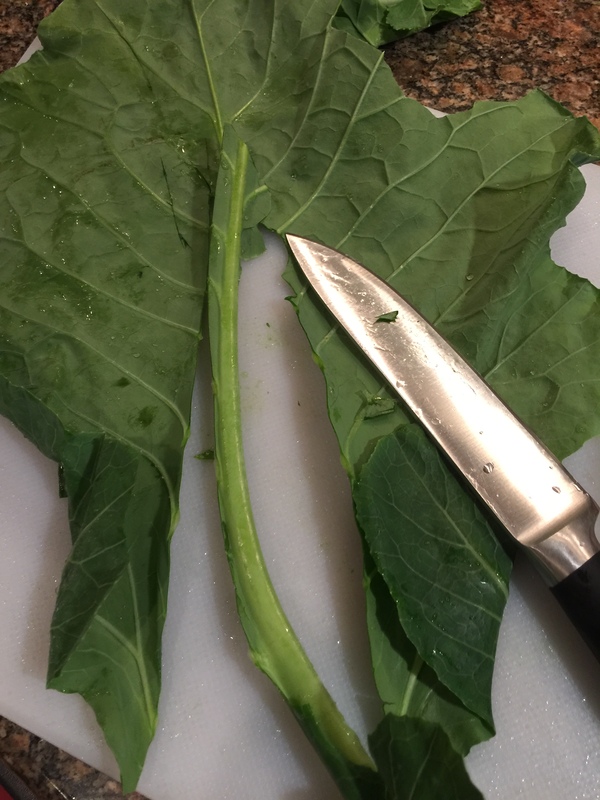 Collard season in N.C.’s Piedmont region is almost over, so if you love these leafy greens like I do, now’s the time to make them until they disappear from the end of January until late fall. I made a big batch for New Year’s, as their color represents paper cash and eating them is supposed to bring monetary good luck for the year. Hey, I will take all the help I can get! 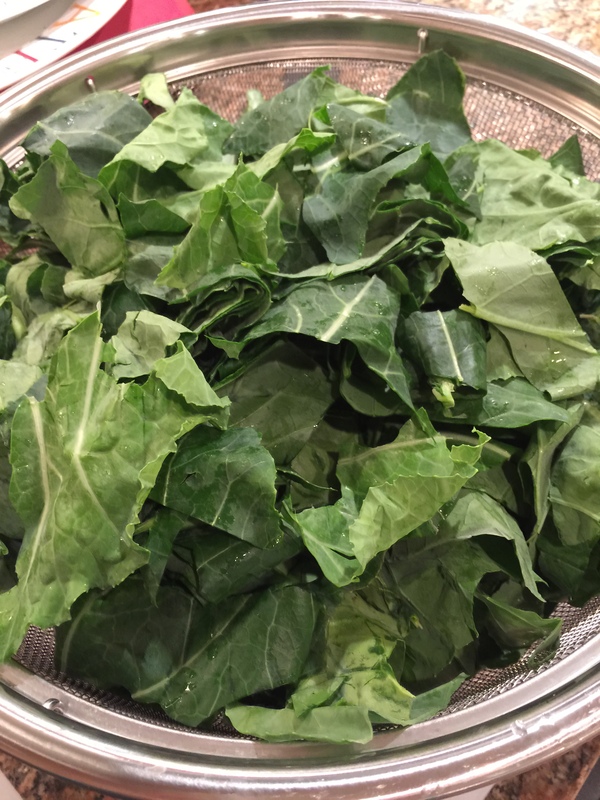 Properly cooked, collards are one of my favorite leafy green veggies, plus they are rich in vitamins and nutritionally just plain good for you. 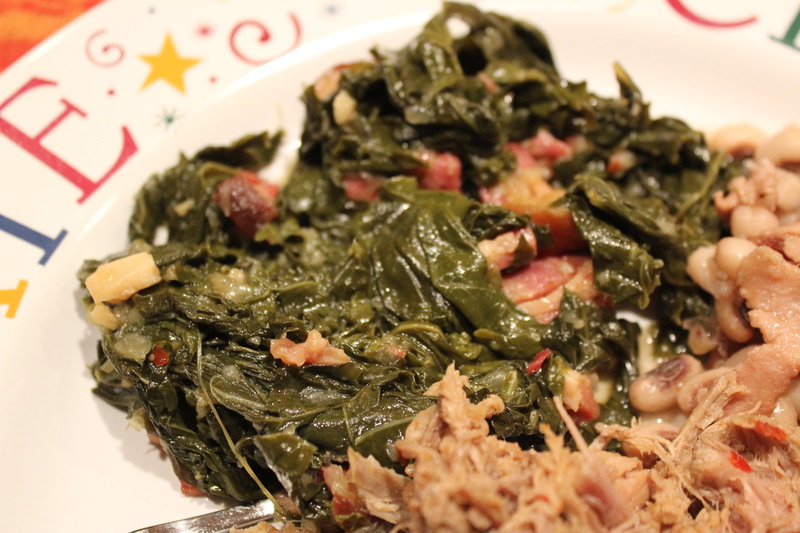 Plus, the liquid that is left once the collards have cooked, aka as pot liquor or potlikker, is absolutely divine. 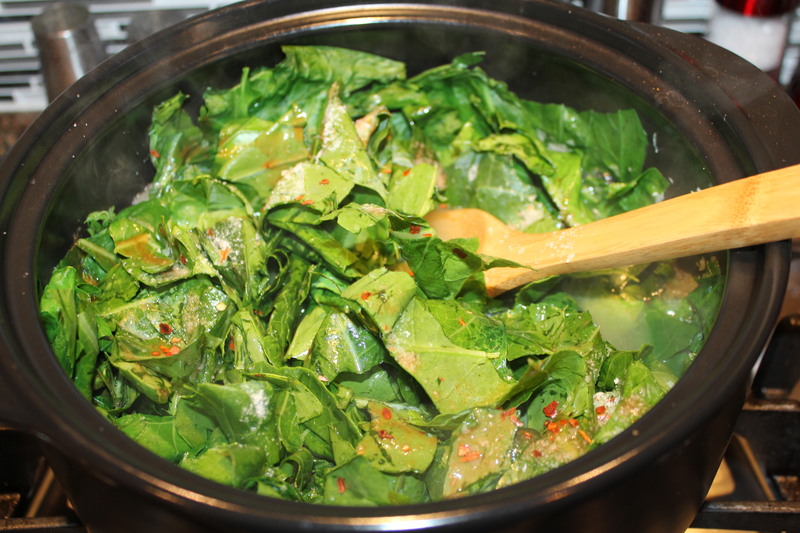 Make sure you save this liquid gold as it contains many of the collards’ beneficial vitamins and minerals. Some people cook their collards to death and then there are others who just sauté them a bit to maintain some crunch. This is completely a personal preference. I like them somewhere in the middle of this spectrum, not too crisp but not a soggy mess. Frankly, I am more concerned about how they are seasoned, which goes back to having great pot liquor to savor. Thoroughly clean each collard leaf. Remove the tough stem and tear the leaf into several pieces. 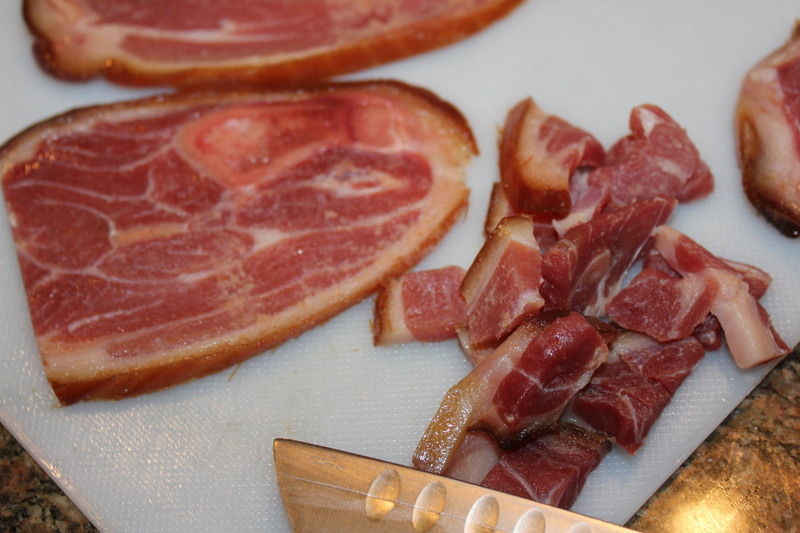 Cut the ham hock slices into small pieces. 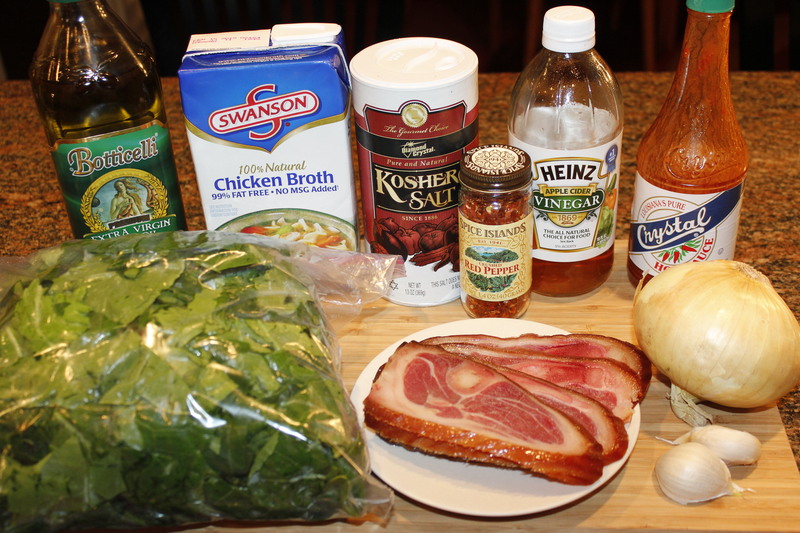 You will use the actual hocks in the recipe, and then remove them once the collards are done. In a large pot (I love my Pampered Chef Rockcrok for this), heat the olive oil over medium heat. Add the onion and garlic and sauté for a few minutes. 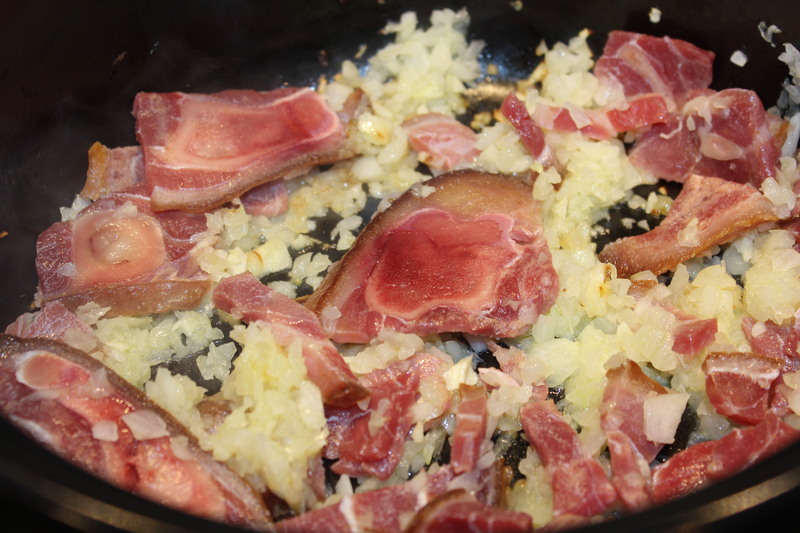 Add the ham hocks and pieces of ham and cook for about 5 minutes. Pour in the chicken stock and vinegar and bring to a simmer. 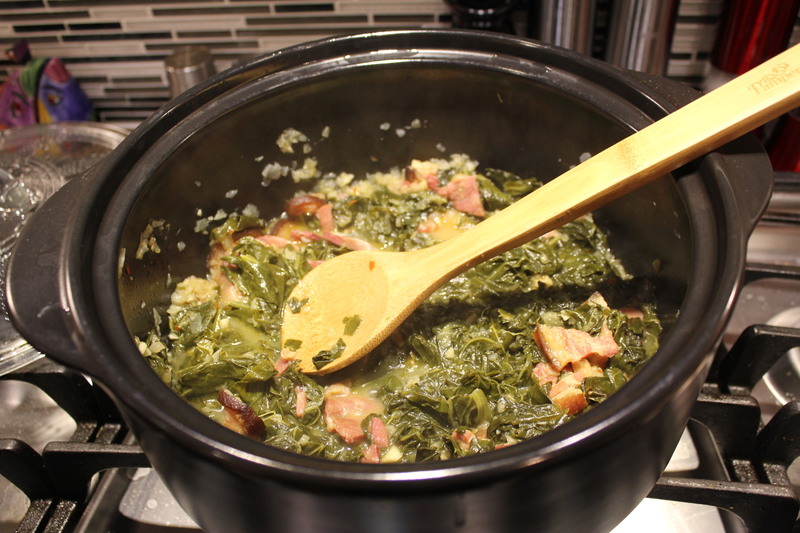 Add the collards (you will probably need to tamp down on them with a spoon to get them to fit in the pot.) Season with salt, crushed red pepper and hot sauce. 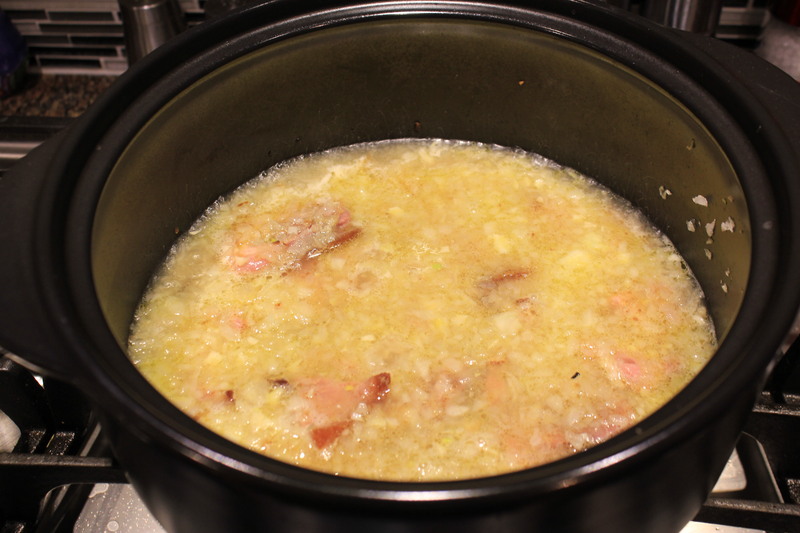 Go light on the salt as the ham hocks will provide much saltiness to this dish. Serve with your favorite protein, like pork barbecue as shown below, or just fix a big bowl, with plenty of the pot liquor, and enjoy! This entry was posted in Pampered Chef tools, Recipes, Vegetables/Vegetarian/Vegan and tagged Collard recipes, Collards with ham hocks, eat drink and be merry, Kelley Chisholm recipes, Pot liquor. Bookmark the permalink.